If you are going to be installing a Hayward Super Pump onto your swimming pool filter system there are some things you will need to know before doing so. 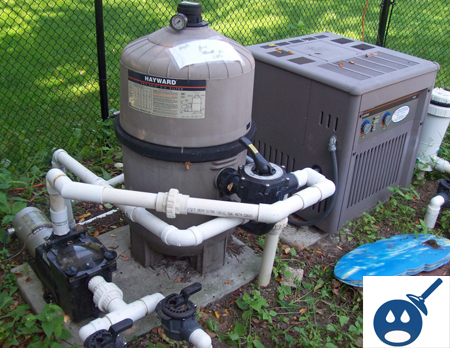 Depending if you have an above ground swimming pool or an in-ground swimming pool will determine how you are going to connect and install your Hayward Super Pump to the filter system. You will most likely need some basic tools to install the super pump as well besides any plumbing fittings that you will need. Always remember that anytime you disconnect your swimming pool pump that you will need to re-prime it before you start it up again. To re-prime your swimming pool pump you will need to remove the pump cover and then fill the pump volute / pump housing with water. 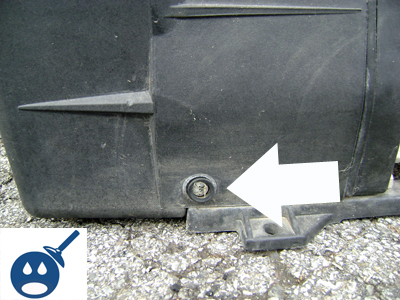 Then you will need to replace the pump cover and start the pump and make sure that it reaches full prime. Failure to properly prime your pool pump can destroy the pump seal or worse burn out the pump. If your pool pump is not currently installed you can skip most of this step, but you may want to continue reading to learn how to get the swimming pool plumbing ready for the new pump installation. Before you can install the new Hayward Super Pump you will need to remove the old one from the swimming pool system. If you have an in-ground swimming pool you will need to, shut the power to the pump, unplug the pump cord from the outlet, then loosen and disconnect the suction and discharge unions from the pump. The suction union is the one in the front of the pump and the discharge side union will be on the top of the pump. If you do not have unions in your plumbing system you will need to cut the pipe and then plumb in new unions when you install the new Hayward Super Pump. If you have an above ground swimming pool you will have to either disconnect the unions if you have them, or most of the time you will have cone adapters that will connect the pool hoses to the suction side and discharge side of the pool pump. You first will want to unplug the pump from the electrical outlet or the timer box.If you do have hoses instead of unions, you will need to loosen the hose clamps, then you will be able to remove the hoses from the cone fitting adapters on the suction and discharge side of the pump. To install the Hayward Super Pump onto the in-ground swimming pool plumbing you will first need to take the fittings out of the suction side and the discharge side of your pump, re-Teflon tape the threads and then you will want to spin the fittings back into the new pump. Make sure you don’t place the suction fitting into the discharge side and otherwise your plumbing fittings will not match up when you go to install the new pump. If you do not have an old pump and this is a brand new pool pump installation you will need to use PVC plumbing fittings and plumb both the discharge and the suction side into the existing pool plumbing. The skimmer and the main drain get hooked up the suction side and the discharge side of the Hayward Super Pump gets connected to the filter or the multi-port valve. Installing the Hayward Super Pump onto an above ground filter system will require you to either hook up the pump to existing hard piped PVC plumbing on your above ground pool or like most people, you will need to connect the pump to the hoses that attach to your pool. The first thing you will want to do if your above ground swimming pool uses flexible hoses is to remove the old cone adapters from the pump. There should be one in the suction side of the pump(front) and there should be another adapter in the discharge side of the pump (top). You will want to remove them from the old pump, re-tape them with some Teflon tape and then re-thread them into the new super pump you have. Once you have the new cone adapters in the new pump, you then will be able to slide the hoses and the clamps on the fittings and then tighten them down. The suction side hooks up the skimmer on your above ground pool, then the discharge side of the pump(top) will hook up to your filter. There should be a “pump in” label on the multiport or the filter valve. If your above ground pool is a semi-in-ground meaning an above ground pool buried into the ground and it uses unions in the hard piped swimming pool PVC plumbing you can remove the old unions from the old pump and then you will need to re-tape them with Teflon tape as well and then spin them into the new pump. You then will have to tighten the unions. This is if your above ground swimming pool uses hard piped PVC instead of the flexible hoses to connect to the pool and the filter system. I installed the super pool pump, but it keeps stopping and the breaker triggers. Any ideas why? Thank you. Your wires are probably too small. Try 12 Gauge wires. Check a lOWE’S.